What is the augmented future like in schools 10 years from now? It’s 2028. The day kicks off with physical exercise. The fifth graders of New Castillion School on Long Island, New York check that their augmented reality (AR) glasses are charged. They will be playing Quidditch known from Harry Potter. The players -witches and wizards- throw around a virtual ball visible only through their AR glasses. Goal posts and the golden snitch are also augmented. Quidditch is the most popular pesports - combination of physical sports and esports - game around. The best players of Quidditch in the World earn more than ice hockey players. After a fun and tough PE, the fifth graders turn their attention to the design class. They are working on a project in which they redesign their school in augmented reality and then 3D print the best improvements. Amy and Mike are working on a study space on the second floor of the school. Amy looks at the area through AR glasses and with her hands she draws chairs and desks to exactly match the required dimensions in the space. Mike prefers to design using a mobile phone, and he uses his smartphone to add a small bookshelf and a stand to Amy’s design. With the help of augmented reality, design can be done on the spot and in the actual context. Mike and Amy finish up their design and other students in the classroom vote their design to be 3D printed. They order the new study space using 3D printing as a service provider which 3D prints the students’ design at a remote location and sends the ready design to them by mail in a day. They will see the new study space live tomorrow. Next up is the English class. Students have read or listened to The Diary of Anne Frank during last month. Today they will make scenes from the book alive in AR. This helps visual and kinesthetic learners in the classroom to interpret the story of the book. Students visualize also their feelings when making the book alive in 3D. The most active students spice up the story of the book with their imagination, doing creative storytelling on top of the real plot of the book. In the end of the lesson, the east wing of New Castillion School has turned into a parallel universe containing The Diary of Anne Frank. Students have collaboratively created this 3D world and while doing so learned about literacy, design, verbal skills, project work and most important of all - themselves. The final activity of the day is project work on recycling. New Castillion School participates in global turn waste plastic into 3D prints initiative. They have gathered plastic waste from home and brought it to the school. The school hosts local recycler which grinds the waste plastic, melts it, and turns it into raw material for 3D printers, filament. Tomorrow, when they will receive the 3D printed study space from 3D printing as a service provider, they will in exchange give them the recycled filament which decreases the price of their order. To your surprise, all of the examples described in this story are already possible today, with the exception of Quidditch. Redesign your school and creative storytelling lessons can be found within 3DBear AR - application which we have developed. Recycling plastic as described is possible with our open source recycler. Welcome to the future. Writer is the CEO of 3DBear, Inc., and Chairman of the Board of 3DBear Ltd. Jussi has a degree from University of Cambridge, UK, and Ph.D. in theoretical physics. Before joining 3DBear Jussi was the employee of the year in Tekes - the Finnish funding agency for innovation. 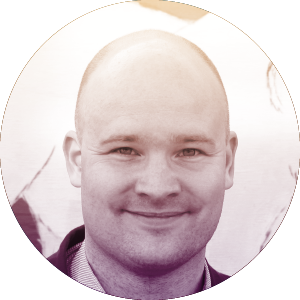 Now Jussi is realising his passion of enabling the creativity of children in 3DBear.